"What you always wanted to know about butterworts"
I am 52 years old, married and father of two sons. I am an agronomist and working at an international plant biotechnology company, working on the development of genetically enhanced plant varieties. About 25 years ago I got fascinated by carnivorous plants. Soon I specialised in cultivating Pinguicula species, often considered as not being so attracticive by CP lovers. Now I can be proud of having built up a collection containing more than 60 different species. GLUCH, O. (1995): Systematik der Gattung Pinguicula L. (Lentibulariaceae). Das Taublatt, 25 (1/1995), 23-26. GLUCH, O. (1996): Schädlingsbefall an Pinguicula und Bekämpfungsmöglichkeiten. Das Taublatt, 28 (2/1996), 23-26. GLUCH, O. (1998): Pinguicula spec. 'Sierra Tamaulipas' - eine neue Fettkrautart? Das Taublatt, 34 (2/1998), 12-17. GLUCH, O. (1998): Pinguicula antarctica - eine interessante Art vom südlichen Zipfel Südamerikas. Das Taublatt, 34 (2/1998), 21-23. GLUCH, O. (1998): Pinguicula spec. 'Sierra Tamaulipas' - a new species? International Pinguicula Study Group Newsletter, 9, 22-25. GLUCH, O. (2000): My experiences with the southernmost butterwort Pinguicula antarctica. International Pinguicula Study Group Newsletter, 10, 23-26. GLUCH, O. (2001): Pinguicula vulgaris in der Gegend von Reims, Frankreich. Das Taublatt, 39 (1/2001), 4-6. GLUCH, O. (2002): Auf der Suche nach Fettkrautarten in Spanien (Teil 1). Das Taublatt, 43 (2/2002), 26-31. GLUCH, O. (2002): Auf der Suche nach Fettkrautarten in Spanien (Teil 2). Das Taublatt, 44 (3/2002), 18-23. GLUCH, O. (2003): Pinguicula moranensis var. neovolcanica: une ancienne variété de P. moranensis redécouverte. Dionée, 51, 22-24. GLUCH, O. 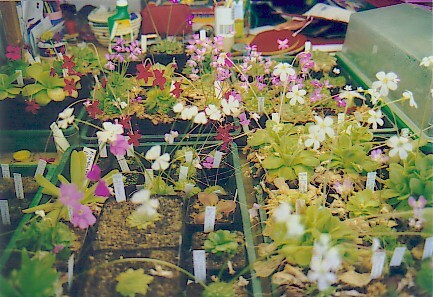 (2004): New Cultivars - Pinguicula x Florian. Carnivorous Plants Newsletter, 33 (1), 20. LUHRS, H., STUDNICKA, M. and GLUCH, O. (2004): A new Mexican species of Pinguicula (Lentibulariaceae). Carnivorous Plants Newsletter, 33 (2), 43-46. GLUCH, O. (2004): Neuerungen in der Systematik der Gattung Fettkraut. Das Taublatt, 49 (2/2004), 14-18. GLUCH, O. (2005): Pinguicula species (Lentibulariaceae) from the southeastern United States: observations of different habitats in Florida. Acta Botanica Gallica, 152 (2), 197-204. GLUCH, O. (2007): Pinguicula chilensis - habitat observations from the Nahuelbuta National Park in Chile. 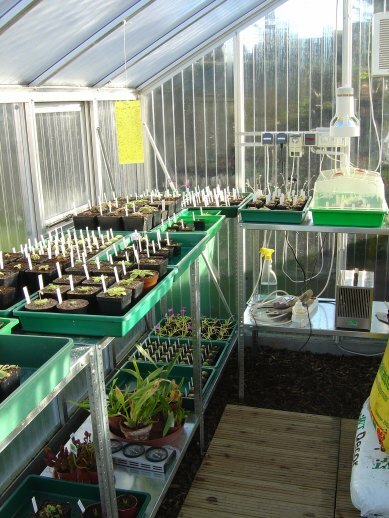 Carnivorous Plants Newsletter, 36 (1), 6-8. GLUCH, O. (2011): Pinguicula mariae - eine 2009 neubeschriebene Fettkrautart aus den Apuanischen Alpen in Italien. Das Taublatt, 71 (3/2011), 36-42. 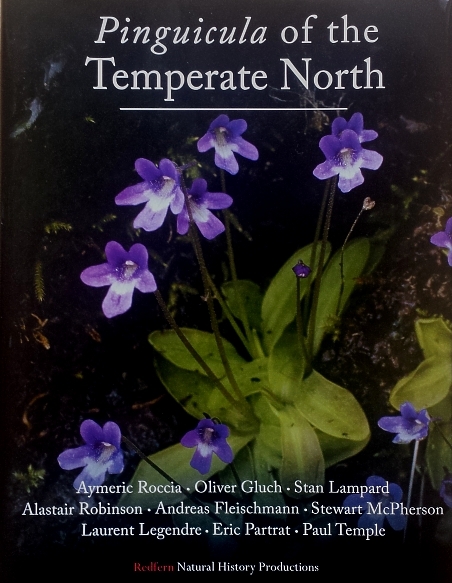 ROCCIA, A., GLUCH, O., LAMPARD, S., ROBINSON, A., FLEISCHMANN, A., McPHERSON, S., LEGENDRE, L., PARTRAT, E. and TEMPLE, P. (2016): Pinguicula of the Temperate North. Volume 1, ISBN 978-1-908787-14-9, Redfern Natural History Productions, Poole, Dorset, England. 350 pp. 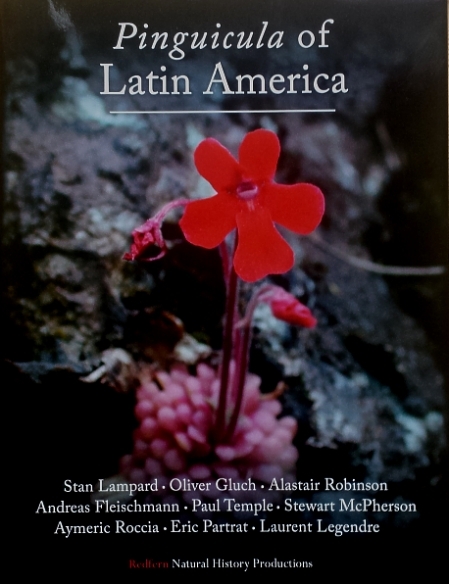 LAMPARD, S., GLUCH, O., ROBINSON, A., FLEISCHMANN, A., TEMPLE, P., McPHERSON, S., ROCCIA, A., PARTRAT, E. and LEGENDRE, L. (2016): Pinguicula of Latin America. Volume 2, ISBN 978-1-908787-15-6, Redfern Natural History Productions, Poole, Dorset, England. 361 pp. GLUCH, O. (2017): Revision of Pinguicula (Lentibulariaceae) in Chile and Argentina. Carnivorous Plants Newsletter, 46 (4), 121-131. Spanish butterworts in habitat. 2nd European Carnivorous Plant Exchange and Exhibition, Gent, Belgium, 2002. Pinguicula species in the South-Eastern United States - Illustrated habitats in Florida. 5th World Carnivorous Plant Congress, Lyon, France, 18th to 21st June 2004. Different growth types within the genus Pinguicula. Annual Meeting Associazione Italiana Piante Carnivore (AIPC), Mira, Italy, 15th September, 2007. Mexico Exkursion 2009. Annual Meeting of the German speaking Carnivorous Plants Society (G.F.P.) , Ulm, Germany, 19th June 2010. Adaptation within the genus Pinguicula to different habitats - examples of species from different growth types. 12th European Carnivorous Plant Exchange and Exhibition, Bonn, Germany, 20th to 22nd July 2012. Pinguicula species from Mexico forming bulb-like winter rosettes. 14th European Carnivorous Plant Exchange and Exhibition, Padova, Italy, 5th to 7th September 2014. Winterblühende Pinguicula-Arten - Impressionen von Naturstandorten in Mexico. Annual Meeting of the German speaking Carnivorous Plants Society (G.F.P. ), Schloß Schönbrunn, Vienna, 27th August 2017.